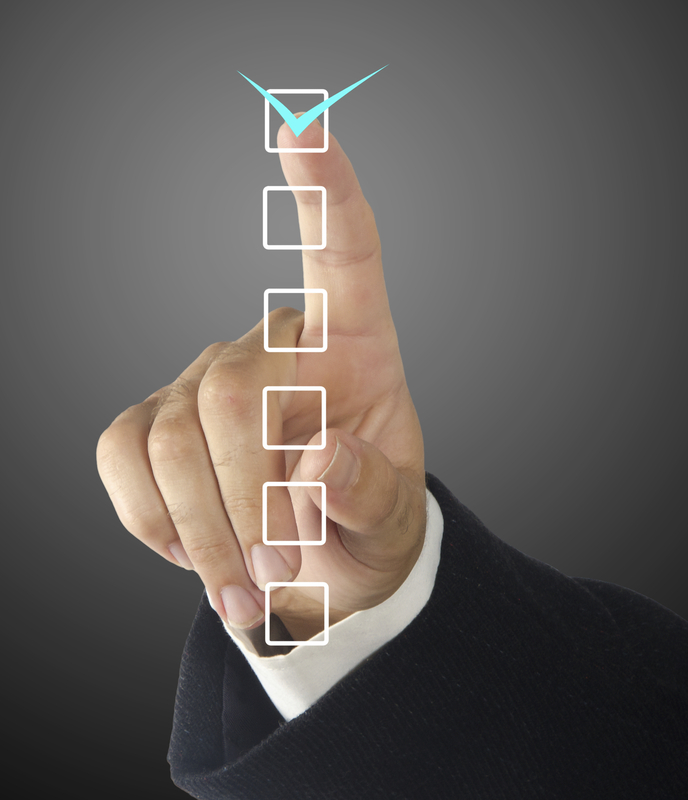 Checklists are red hot, and for good reason. They work. That’s why doctors, airline pilots, architects, and many other professionals use them. The idea is so hot that The Checklist Manifesto by Atul Gawande is one of the most popular business books in recent years. Checklists can provide discipline. They help catalog and manage a large amount of information. They help systemically deal with complexity, and given the increased complexity of investment decision making, compounded by the tremendous amount of readily available information, more investors should be using checklists. Checklists can also help cut through the fog and ensure an investment process remains consistent. At CLS, many of our portfolio managers have incorporated checklists into their decision-making discussions. For instance, Paula Wieck and I often go through our own checklist on a few of the portfolios we manage when deciding how to build them, which ETFs to buy or sell, and when to trade. Risk Budget – How will the investment we buy or sell impact our portfolio’s risk budget score? Risk budgeting is the methodology we use to manage nearly all CLS portfolios. It’s our way to ensure portfolios are balanced. Investment Themes – How will the decision impact our portfolio’s positioning relative to the CLS investment themes? The investment themes are decided by our portfolio managers and investment committee. All CLS portfolios articulate these themes. How will our positioning change relative to our benchmarks and peer groups? When we talk about our outlook, and what we like and don’t like, our portfolio positioning ideally needs to confirm these portfolio tilts as compared to our benchmarks and peer groups. What are the taxable consequences of the potential transaction? Is the excess return expectation for the trade great enough to offset the potential tax cost? How will our top 10 holdings be impacted? Our top 10 holdings should tell the story of what we like and what we’re doing. What is the investment’s relative valuation? Valuation analysis tends to add excess returns over time; thus, we want our portfolios to be tilted toward better valuations. What are the investment’s current momentum characteristics? Momentum analysis tends to add excess returns over time; thus, we want our portfolio to be tilted toward better momentum. What is the security’s “CLS Score?” (This is a CLS proprietary ETF score that creates an expected return for every ETF based on valuations, momentum, and costs.) Besides having tilts toward lower valuations and better momentum, we also want to favor ETFs with below-average costs. What does the ETF hold? How concentrated is it? Two ETFs supposedly doing the same thing could be very different. We want to know what those differences are. How close does the ETF track its benchmark over time? We prefer ETFs that track their benchmarks closely (most do). One of the primary attributes of ETFs is they are dependable building blocks for portfolios. They don’t drift away from our expectations of how they should behave. What does the technical trade set-up look like for what we’re buying or selling or both? Is this a good time to trade? How does the market look to trade the security? How liquid is the security? Is this a good time for trade execution? What is our relationship like with the capital markets desk at the ETF provider? Can they help us trade an ETF in size? Bottom line is we believe checklists help us become more efficient and, more importantly, more effective at managing portfolios.